A series of nine armed hold-ups have occurred in the Koreatown/Harvard Heights/West Adam section of Los Angeles since 4-29-2011. 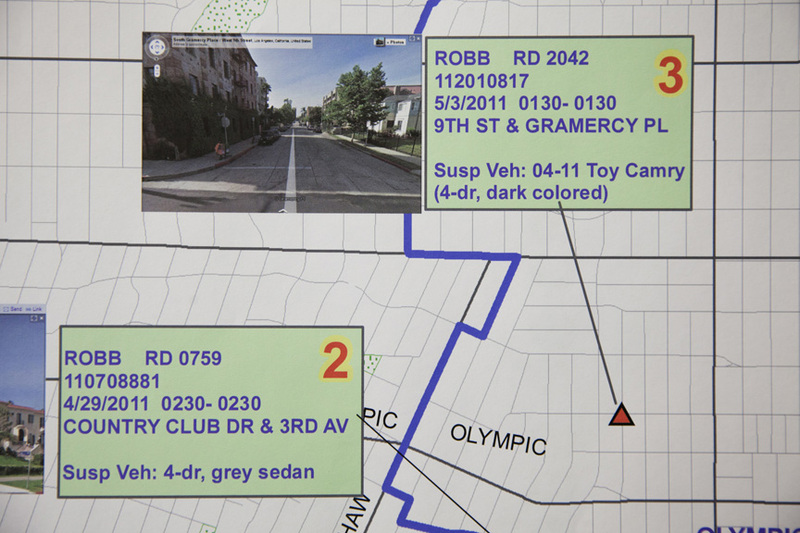 LAPD officials believe three suspects are responsible for the crime spree, and a tactical alert was called in the Ktown area as LAPD searched for the suspects. They are described as black males around 5'9" tall in their mid 20's, one suspect was detained then arrested today in a supermarket parking lot near Washington blvd. and Tenth Ave. The suspects used several different single barrel shotguns and rifles, firing and killing one victim, another victim who fought with the robbers was shot at but not injured. So far the LAPD has not tied in the recent murder of Gabriel Ben Meir, a beloved MTV producer, who was killed on a sidewalk near his mid-Wilshire home. Ben Meir was shot in the head execution style with a shotgun around 1:30am, neighbors found his body around 6:30 am Sunday morning. Most of the robberies have occurred in the early morning hours, with two in the evening. 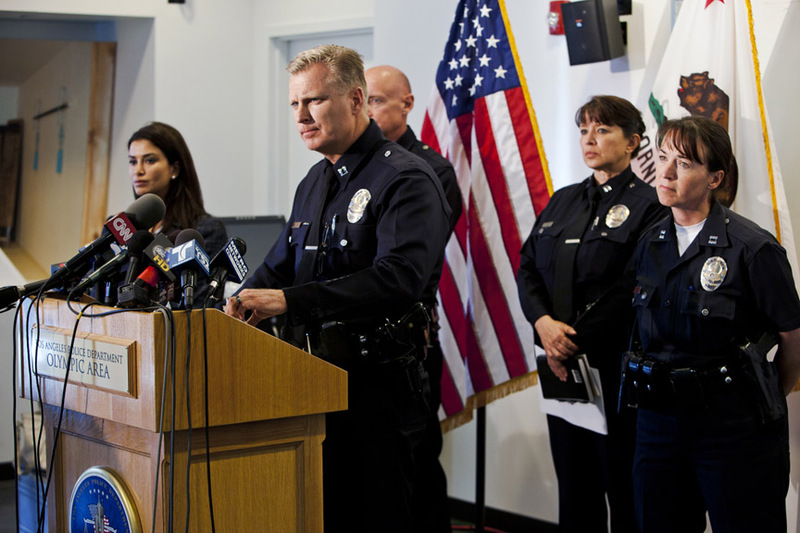 Press conference at LAPD Olympic station. 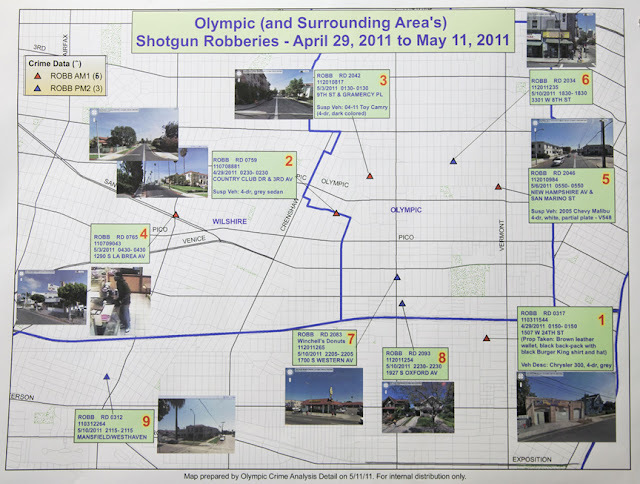 LAPD map of the nine robberies, minus the Ben Meir killing. 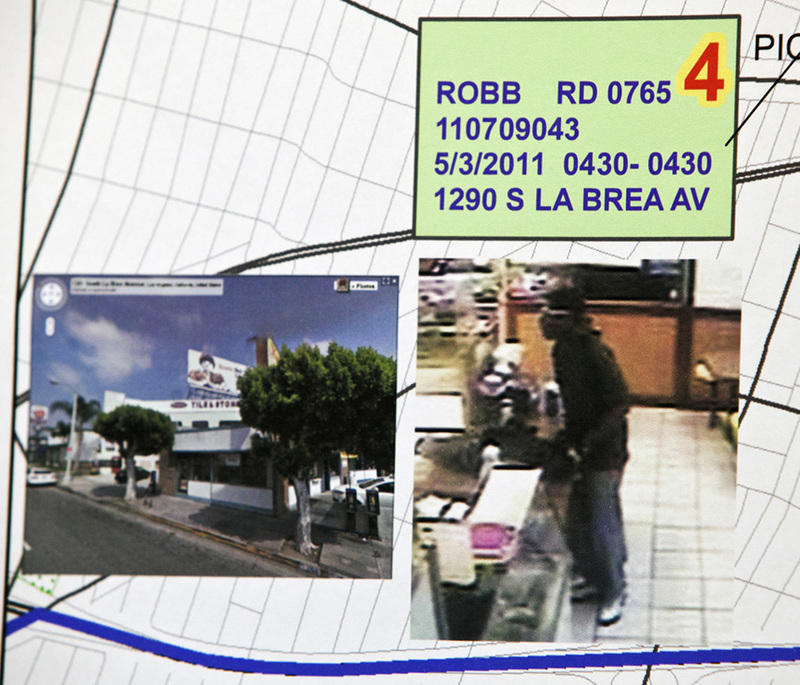 LAPD map detail of robberies # 2 and 3. LAPD map detail of robbery #4 with an image of one of the robbers.